The National Lawyers Guild Foundation (NLGF) is pleased to announce the recipients of the 2016 Guild Grants Program. A total of $25,000 was awarded to seven grantees to support the educational and social justice goals of the Foundation, promote membership in the NLG, and strengthen programmatic work between Guild chapters, committees, and the National Office. After announcing the availability of the grants at the 2016 NLG Convention, the NLGF received nineteen requests for funding. Applications were carefully reviewed by the NLGF Grants Subcommittee, which considered how well each proposed project would increase membership in the NLG and strengthen the Guild as a whole. Other considerations included whether or not the project would serve as an example to other parts of the NLG and the ability of the requesting entity to raise matching funds and to carry out and promote the proposed work. Recipients were awarded small grants between $2,500 and $5,000 to grow membership and strengthen the Guild. Whether it’s by working collaboratively with community partners, promoting the project on social media with a call to join the Guild, highlighting the successes of the project in membership drives, or providing resources to the broader legal community, each of the selected projects are finding creative ways to build the Guild. The NLGF is excited to support the work of the following projects, committees, and chapters through this small grants program. International Committee Human Rights Framework Project to survey and train Guild members about the value and use of the international human rights framework. Legal Worker Caucus to hold a national meeting of legal workers to increase recruitment and more strongly integrate legal workers into the Guild. Los Angeles Chapter to support their Police Misconduct Clinics to assist complainants in filling out personnel complaints against local police departments and compile a database of instances of police abuse. NLG FOIA Project to build a FOIA resource bank and connect NLG members, prospective members and non-member activists with resources to support their work. Parole Preparation Project for political education seminars and trainings to educate and mobilize volunteers to work with parole applicants. 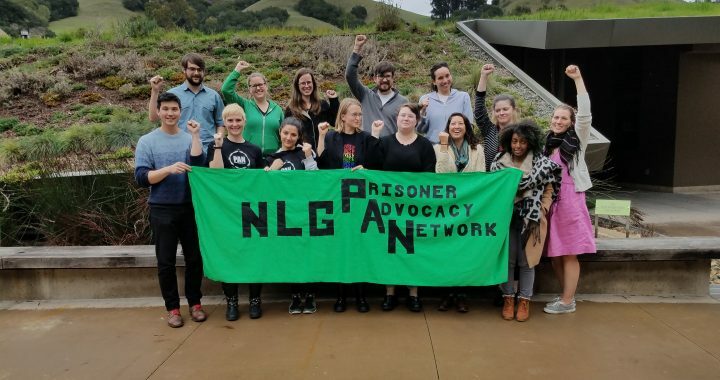 Prisoner Advocacy Network of NLGSF to advocate for and with people experiencing long term isolation, including solitary confinement, administrative segregation, and gender-based segregation in California prisons. Maine Usa Embasy Munchen Germany jou ned Apoiment fur jou ofis fur gren Card plase sedet 1 Apoiment thanks thomas makos Germany.